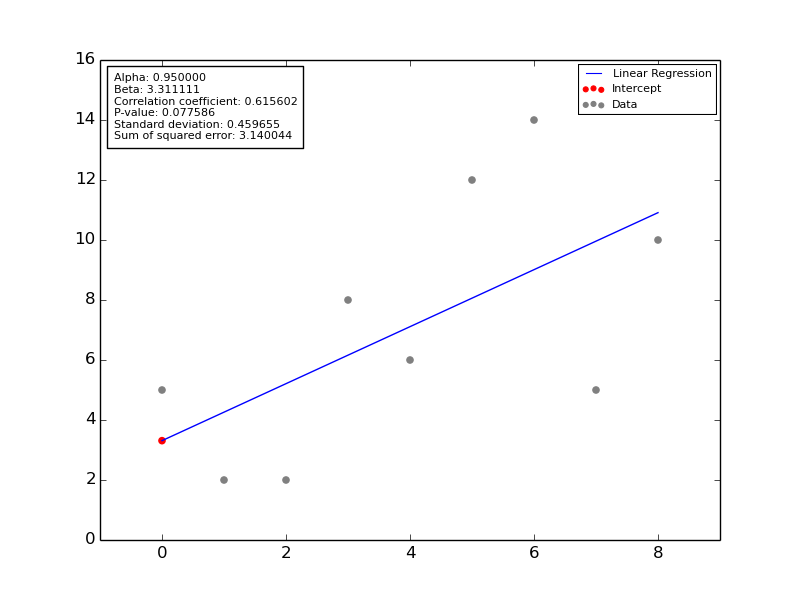 There are many approaches to perform linear regression (or least squares fit) in Python and libraries which support doing so. One approach I have come across, which I personally find advantegous, provide additional variables compared to other solutions. This post hereby intends to explain, through a simple example, how to utilize the library and the additional variables hereof. 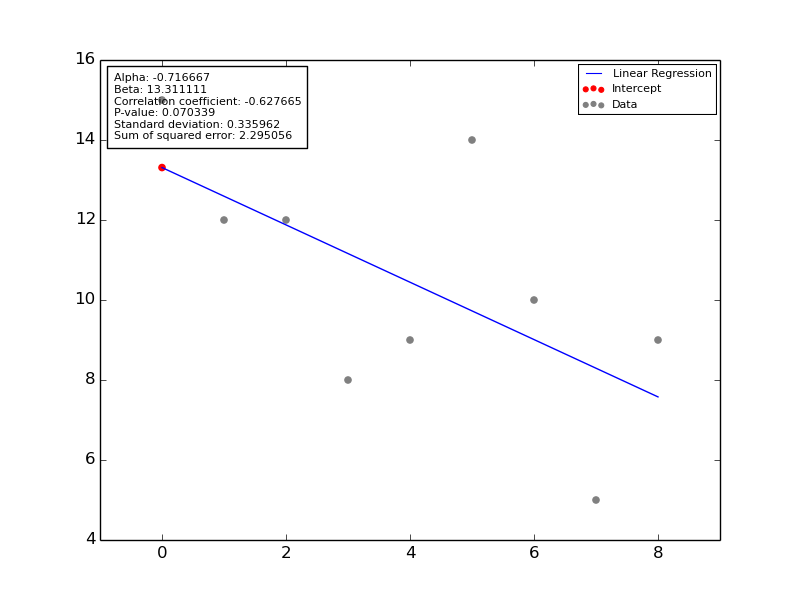 To perform linear regression, we will utilize both scipy and numpy as the two provide numerous advantages when used together. If in doubt, refer to the litterature at the end of the post to find the definition of a specific term. Likewise, when the two libraries are combined, they additionally solve an issue when calculating the traversing line: if the slope of the line became less than zero, a calculation error occured. polynomial = poly1d([alpha, beta]) # Calculate the polynomial least squares fit as: "y = ax * b"
""" Writing the variables to the plot """
""" Plotting the data """